IDMI’s manufacturing and design partner Base 11 will be celebrating the grand opening of their Innovation Center at Applied Innovation at UCI on August 7, 2017 at 5:00pm. The event is free and open to all with an RSVP. Base 11 is a non-profit workforce and development entrepreneur company deploying a STEM Accelerator model that transforms high-potential, low-resource college and high school students into STEM talent for industry. IDMI works closely with Base 11 to offer support and educational resources for Base 11 students. 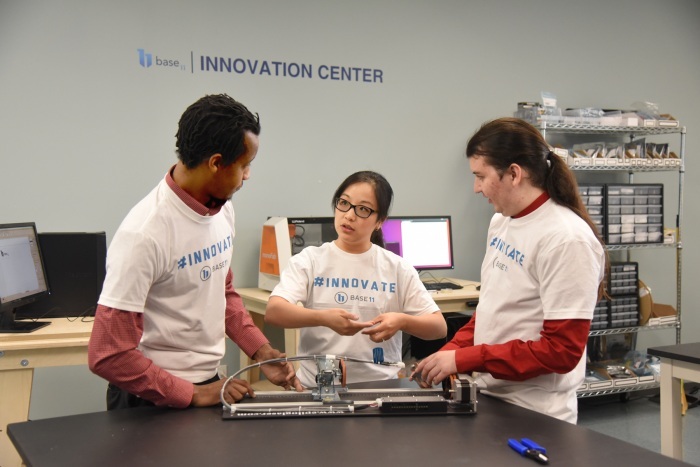 The new Innovation Center offers state-of-the-art facilities feature equipment that allows students to design and build a vast array of projects. Ben Dolan, Technical Director of IDMI’s manufacturing facility, Rapid Tech will be leading tours of the Fab Lab to highlight the functionality and capabilities of the Innovation Center equipment.